Welding - Thieman Quality Metal Fab Inc.Thieman Quality Metal Fab Inc.
With our robots, we are able to run higher volumes while maintaining desired consistency among all of the parts. 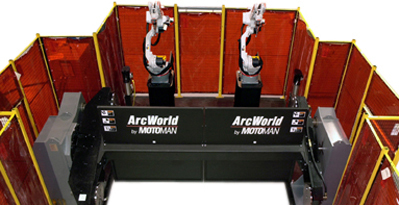 We currenly have 3 Motoman robots in our facility. 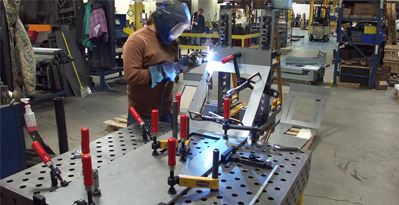 Our welders extensive knowledge and use of modular tables allows us to produce weldments of high detail and complexity.